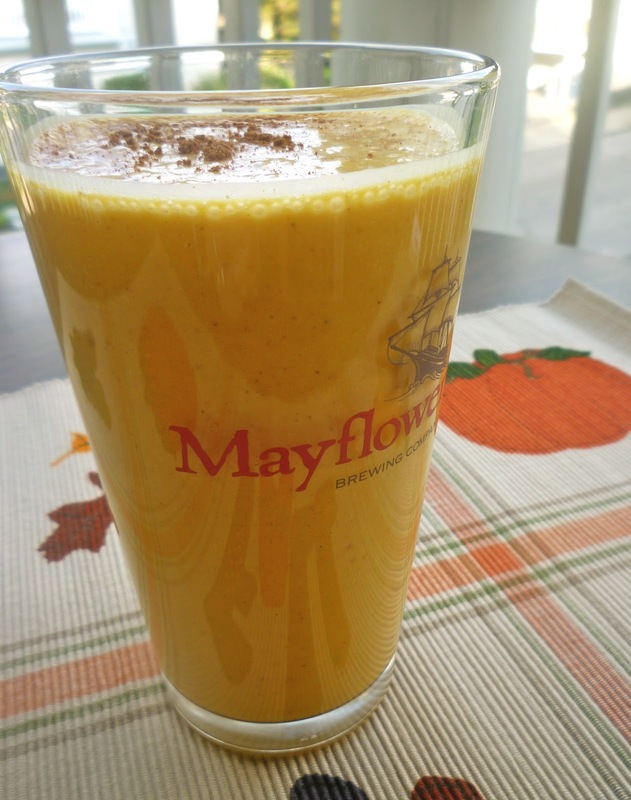 Last week when I was in the mood for fall to be here, I made this smoothie as a snack after work. It was the perfect fuel for the run that I went on later that evening. I happened to make this smoothie with canned squash. I know; random, right? Well, I happened to have some on hand so I decided to see how the squash might compare to the taste of canned pumpkin. I couldn't even tell the difference!! So from my perspective at least, you could very easy make this smoothie with either squash or pumpkin. Keep that in mind if there happens to be a pumpkin shortage this fall (but I sure hope there's not!!). Place all ingredients in a blender, and blend until well combined. Sprinkle with a dash of cinnamon on top, if you'd like. Enjoy! This smoothie was definitely on the thicker side, so if you like yours thinner, I'd suggest adding closer to 1 cup of milk instead of 3/4 cup, or perhaps decrease the canned squash/pumpkin to 1/2 or 2/3 cup. You can really play around with it until you find the consistency you like. That's the beauty of making smoothies at home like this! I almost never go into the smoothie making process with a recipe...I just make it up as I go! Kinda funny that I put my smoothie in a Mayflower Brewing glass... Get it? Mayflower, pilgrims, Thanksgiving, fall... You know what I'm talkin' about.